Tonight on ABC their sensual and gripping new drama BETRAYAL continues with a new episode. On tonight’s show called, “…A better place.” Sara’s life hangs in the balance, on the stunning season one finale. Did you watch the last episode? We did and we recapped it right here for you. On last week’s show Jack and Elaine struggled to navigate this turbulent time with their kids, Sara and Drew might be falling back into old habits. Meanwhile, Jack and Drew decided to put their differences aside and work together in the case against Karsten, revealing hidden truths. On tonight’s episode in the aftermath of Sara’s shooting, the two families are forced to confront decisions they’ve made, as well as look to the future, on the explosive season finale. Guest starring are Adam Shapiro as Nate Greene, Ora Jones as Quincy Theringer, Kamal Bolden as Rodney and Maxwell Jenkins as Oliver. Tonight’s episode is going to be another great episode, which you won’t want to miss. 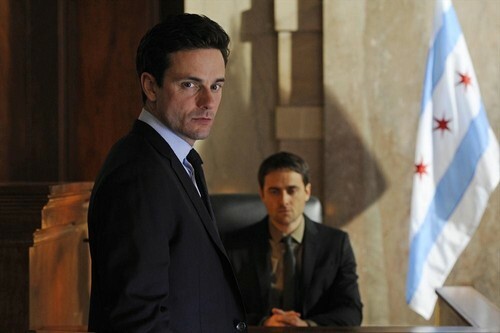 So be sure to tune in for our live coverage of ABC’s Betrayal Season 1 episode 11 — tonight at 10PM EST! While you wait for our recap, hit the comments and let us know how excited you are about the return of Betrayal tonight. Check out the sneak peek video below! In tonight’s season finale, everyone is dealing with the after math of the shooting. Jack didn’t even realize it was Sarah that got shot until later when he spotted her being wheeled into the ambulance. Nothing could have shocked him more than when he soon spotted the cops informing the others they caught the killer. Seeing his son getting arrested was the final straw. Jack immediately broke into tears. He was still barley holding on when he informed Elaine about Victor’s crimes. They didn’t know it would end like these. Particularly, not after all the sacrifices they’ve made for him before this! Jack tried to go see Sarah and chickened out. He was standing outside the hospital when she woke up. The doctors had warned Drew she might have brain damage and he was counting her blessing when she appeared to be just fine. She even recognized him as her husband. Drew is far too busy with Sarah to focus on Thatcher. That’s why he must have speeded up the grand jury’s indictment. Thatcher hadn’t counted on that and he was surprised to learn that he gotten indicted. He will be going to jail and before he does he made sure to set up a trust fund for his children. However Elaine wants nothing to do with and TJ, despite his handicap, realizes his father isn’t a good man. It seems everyone knows about his attempts on Jack’s life. And the only person who isn’t holding that over his head is poor Victor. Thatcher visited him in prison. He said he wanted to apologize for teaching Victor violence was the answer to all their problems. Victor doesn’t want to hear it. He believed in his grandfather the whole time and to hear Thatcher’s apology only serves to anger him. When Thatcher left he knew he didn’t have anyone anymore. It probably made it easier for him. Thatcher killed himself prior to being arrested. He would rather die than to sink that low. With Thatcher’s demise, Drew appears to be a hero. He brought down one of the largest organized crime units in Chicago and certain people want to thank him for it. Drew gets approached by people wanting to back him. They said he would make a great congressman and as long as his family life straightened out he has a chance. But Drew doesn’t know what his family is doing. He hasn’t has a chance yet to sit down and talk to Sarah. So Drew told her first about the offer. He didn’t want her to think he was using her and felt he should start there. Sarah has always known Drew was ambitious, but she’s proud he’s starting to think of his family first. She’s willing to try and re-build their marriage. It isn’t as if they don’t love each other. They do and with some time maybe they’ll get back what they lost. Drew does run for congressman and when they tried to bring up his wife’s affair he manages to skirt around the issue. He learned something from this whole mess with Jack and Victor. He’s not going use his own family to win. They are not props. As for Kharsten’s family, they’re pulling themselves together. Elaine did end up missing her dad. Sure, he was an awful human being, but he was also her father. He had left a letter behind for TJ and the way her brother uses it helps Elaine with her grieving. Thatcher revealed in his letter that he had another daughter. Well, TJ asked Elaine to meet up with him miles away where this new sister apparently worked. Her name is Kayla and she’s a single mother working at a gas stand. TJ introduced himself and Elaine to her before he asked Elaine (as his trustee) to sign off on some paper work. He wanted to give half of his trust fund to Kayla. He said family should look after family. Elaine agreed to his decision. She knew he was only doing what was best. Afterwards she expected for him to come back with her to Chicago when he tells her otherwise. TJ wants to starts over and to do he decided on leaving the city. He always wanted to see San Francisco and making a road trip out of it is going to be fun for him. Elaine knows it would possibly do her brother good and chose to let him go. Sarah ran into Jack at the train station. Her relationship with Drew is at a stalemate and she needed to hear from Jack why he never came to see her at the hospital. Her friend tried to warn her to let bygones be bygones, but Sarah wasn’t ready to close door on Jack. She visited him at his new job just to get an answer. Jack admitted he did come to see her although what good could from it nobody knows. In the final scenes of the season, Sarah finally picked which guy she wanted to be with. She was smiling as she offered him champagne. Yet who did she offer it to?!?! Was it Jack or was it Drew?